Fees associated with filing trademark application in Norway as well as other trademark fees are available in the fee calculator. Multiple class trademark application is possible in Norway. - Details of the priority claim, if any (state, application number and filing date). The representation of the applicant together with the representative’s name and postal address must be cited either in the application form, which must be signed by the applicant or in a separate document. If the relationship of representation is based on a general power of attorney, each application in which the general power of attorney is invoked must contain a reference to it. In general, no priority document should be submitted. The Norwegian Trademark Office may request the priority document at the examination stage, and the time limit for submission thereof is three months from the receipt of the corresponding notification. Opposition against a Norwegian trademark registration must be filed within three months from the date of publication of the registration. No official grant fee is stipulated for Norwegian trademarks. The Certificate of Registration is issued electronically. The trademark in Norway is valid within ten years from the date of filing. The validity can be extended indefinitely by paying a renewal fee every ten years. The request for trademark renewal should be filed during the last year of the current 10-year trademark validity term. This term may be extended by six months by paying a surcharge. The validity of a trademark in Norway may be contested on the basis of non-use thereof within five years from the date of registration, i.e. five years from the end of the opposition period. It is recommended for the foreigners to accomplish trademark prosecution in Norway through an agent, a registered in Norway trademark attorney. 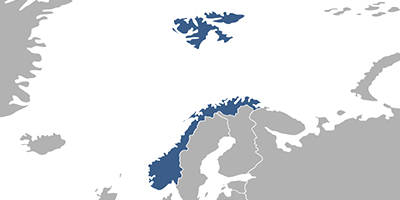 Online Search Databases: Norwegian Trademarks, International Trademarks.